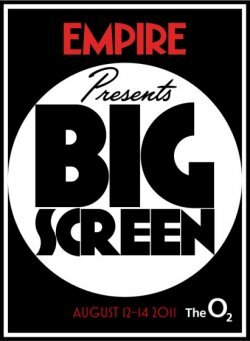 Empire, the world’s biggest selling movie magazine, and Clarion Events are delighted to announce the presence of Disney’s The Muppets and DreamWorks Pictures’ Real Steel at Empire presents BIG SCREEN. The Muppets are some of the most iconic and beloved characters in entertainment history. We couldn’t be more excited to announce that “Empire presents…BIG SCREEN” will host a look at the hotly anticipated new Disney movie, THE MUPPETS, due to hit the big screen Feb 17th 2012. When Walter, the world's biggest Muppet fan, and friends Gary (Jason Segel) and Mary (Amy Adams) discover the nefarious plan of an oilman (played by Chris Cooper) to raze the Muppet Theatre, they help Kermit reunite the Muppets to stage The Greatest Muppet Telethon Ever to save the theatre. Guests at BIG SCREEN will have a unique opportunity to see The Muppets interviewed and to see a sneak peak of the movie. We can’t wait! REAL STEEL (DreamWorks Pictures) is a gritty, white knuckle action ride set in the near-future where the sport of boxing has gone high-tech. REAL STEEL stars Hugh Jackman as a washed-up fighter and small-time promoter who reluctantly teams up with his estranged son Max (Dakota Goyo) to build and train a championship contender. REAL STEEL is directed by Shawn Levy (NIGHT AT THE MUSEUM, DATE NIGHT), who we are delighted to say will be attending “Empire presents…BIG SCREEN” in person to present a sneak peak from the October 7th 2011 release. In addition to showing footage from the movie, Shawn will be discussing the amazing techniques he used in bringing the movie to the big screen! It promises to be a hugely entertaining experience, the chance to see one of Hollywood’s top directors describing in person how he created what promises to be one of the most thrilling movie experiences of the year.